This all vellum Cabinet features a gently-curved facade that is trimmed at the top and bottom in aged brass. 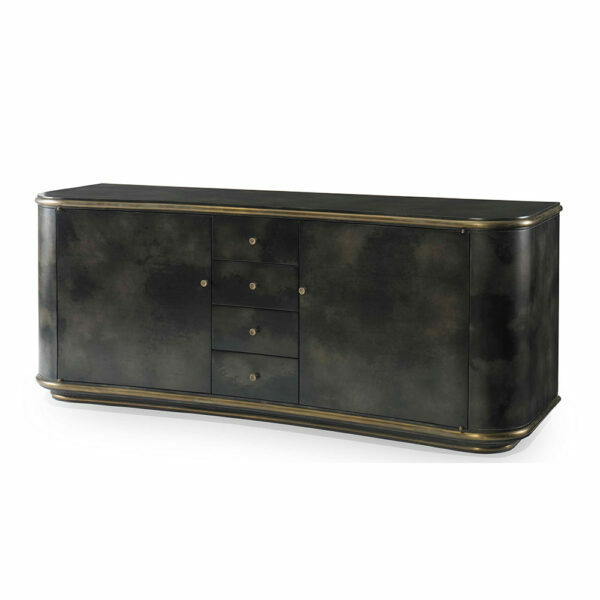 Featuring four center drawers with brass pulls flanked by two large storage areas. Available in three standard vellum finishes and as part of our Colourist Collection, specify Benjamin Moore or Sherwin-Williams color number to match.